For puffy eyes. Reduces puffiness under the eyes of older people which is usually the result of fat accumulating on the lower lids causing patients to have a tired and aged appearance. For puffy eyes. 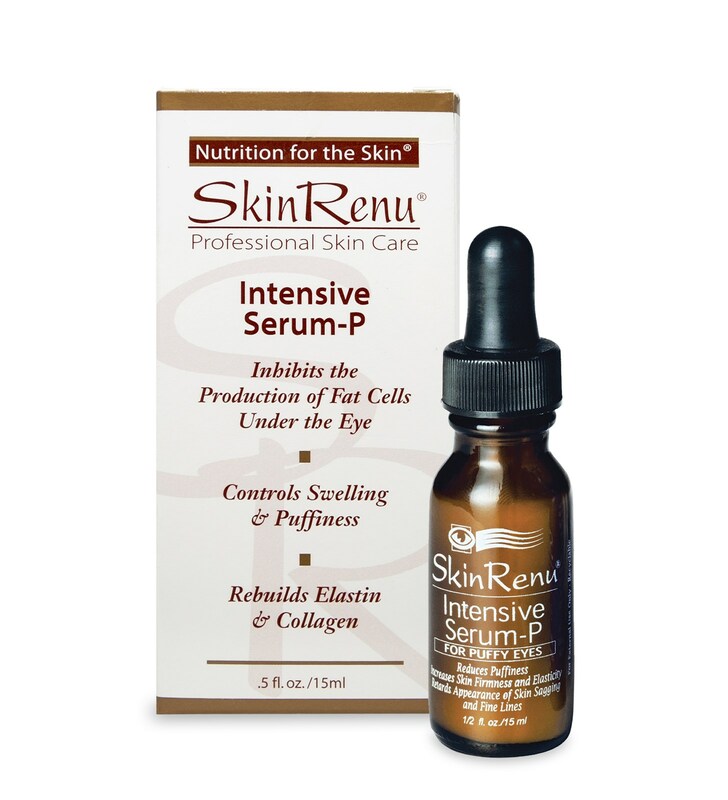 Reduces puffiness under the eyes of older people which is usually the result of fat accumulating on the lower lids causing patients to have a tired and aged appearance. 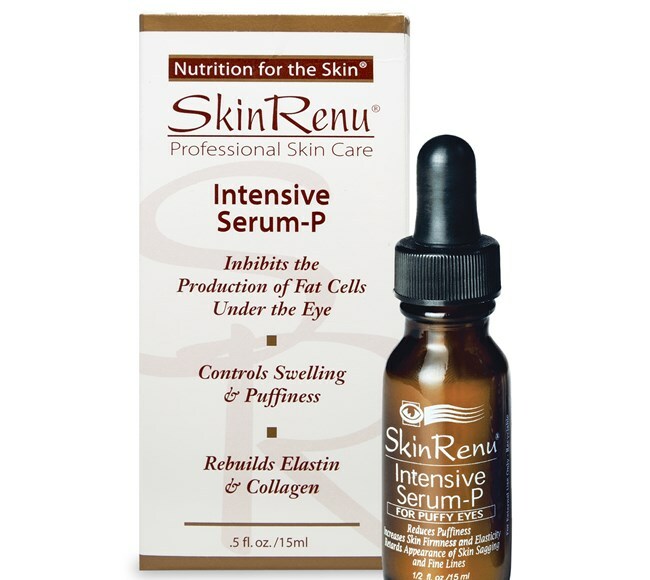 SkinRenu Intensive Serum P reduces the prominence of the bulging fat pads. The formulation also provides protection from environmental irritants that aggravate the sensitive skin around the eyes. Glycosaminoglycans, Squalene, Carbomer, TEA,Germaben IIE. Shake well. Fill dropper. 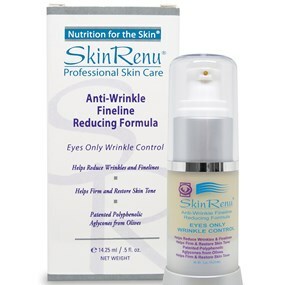 Apply to clean skin, using one drop around & under eyes.Follow with SkinRenu Anti-Wrinkle Fineline Reducing Formula. Repeat 2-3 times daily.